Our memories which we keep tucked away deep inside, can be triggered by a picture we see, a song we hear, a perfume we smell, a food we eat. A visual trigger is probably the most common. One thing reminds us of another and leads on to our memories, a bamboo basket like a cake tin but made of woven bamboo strips that I chanced upon in a retro shop reminds me of the steamed egg cake that my mum used to make when I was a child. I remember there weren't any bakeries near where we lived. I can see in my mind's eye how she would beat the eggy mixture by hand, and it had to be one-directional for many, many times to ensure that the cake rose. She would line the basket with tracing paper and then pour the mixture into the basket and then steam it. We would eagerly await the cake to rise, for the satay stick to be poked in, to test whether it was done, and then for the cake to cool before we could have a slice. But to me, the most powerful trigger is the one of smell. It is more subtle than sight, and you often forget about the sense of smell and its power. I think it is more overwhelming when triggered. It brings back memories that you don't remember you have and takes you right back. 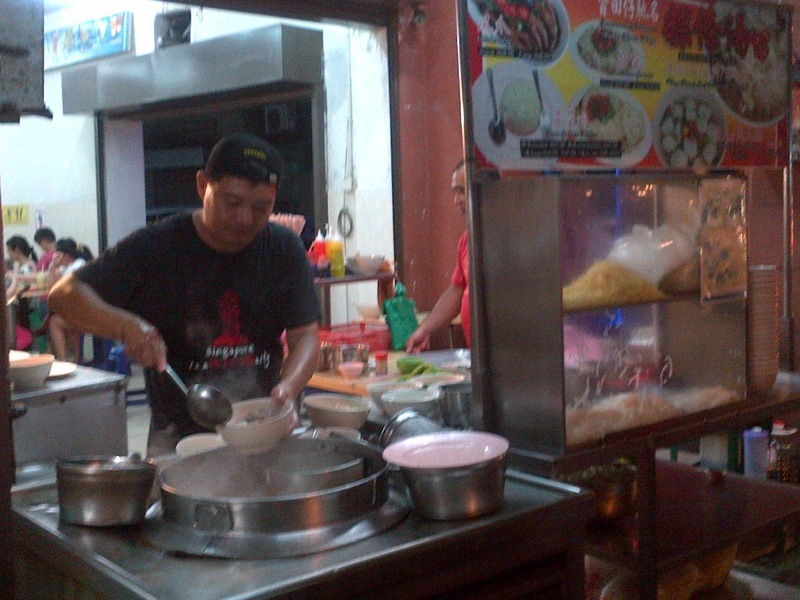 I was recently in Penang, and the first night in Georgetown, the Boy and I wandered down into the area where grandma's house used to be, looking for dinner. We ended up at this coffee shop. 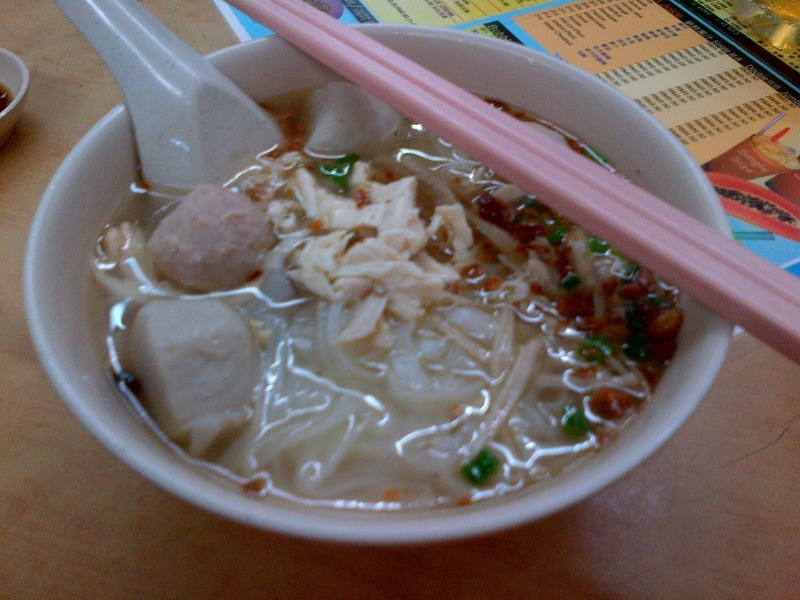 When this bowl of koay teow thng (rice noodle soup) was brought to my table, I could already smell it, the distinct smell brought me back to when I was perhaps 8 years old, spending my school holidays in Penang. Every night, we would go across the street from grandma's house, to the koay teow thng stall and order a bowl. My first recollection was it cost RM0.60 or RM0.80 then and by the time I last ate it, it was RM1.60, I might have been 14 or 15. And then I stopped going to Penang with my mum until the recent few years when we have been visiting again almost annually. My tastebuds confirmed what my nose already told me, this was the same stall even though it is some 30 years down the road. The taste seems to have been imprinted in my memory despite the long lapse of time since I have last had it. I finished the bowl of deliciousness and as I was leaving, I stopped to chat with the stallholder who looked to be in his 30s or maybe early 40s. I told him I used to eat this koay teow thng a long time ago and was it his father who had this stall about 30 years ago? Oh more than 30 years ago and the stall was at the small lane by the side of the current coffee shop, he said. I told him how the taste was still exactly the same, it hasn't changed and it was excellent. He was all smiles, even though he was busy, I think he enjoyed this brief exchange where we walked down memory lane together.